Nethone – the global leader in AI-powered KYU (Know Your Users) – announced today that eSky Group (owner of eSky and eDestinos brands) – a leading online travel agent present in over 20 countries, partnering with 817 airlines and almost 1 million hotels – has rolled out its cutting-edge anti-fraud system. 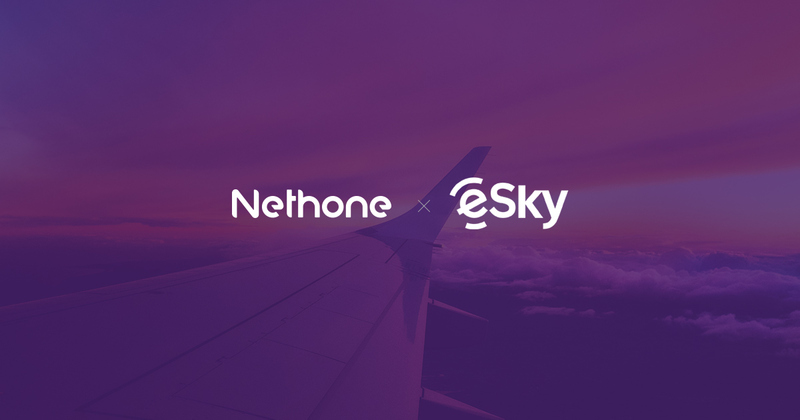 Thanks to the newly implemented suite of Nethone solutions, eSky and eDestinos will effectively slash chargebacks and boost sales while ensuring a truly seamless user experience for desktop and mobile customers. The system is being deployed on the most challenging and fraud-prone markets of Latin America, where Nethone has an impressive track record of success, and in upcoming months will be activated in other selected geographies. The fraud prevention suite crafted for eSky and eDestinos leverages diverse state-of-the-art technologies, including in-depth user profiling, device fingerprinting, behavioural biometrics and advanced Machine Learning. Nethone has created and trained an army of custom fraud prevention models, fully adjusted to the specific needs of the client and to its unique business environment. The military-grade profiling tool will, from now on, thoroughly x-ray each and every individual interacting with eSky/eDestinos services on selected markets. The profiler collects 5000+ data points featuring user’s software, hardware, network and behaviour (biometrics and patterns). The models analyse in real time every session and issue accurate transaction legitimacy assessment recommendations to the eSky’s and eDestinos’ risk management team before payments are sent for processing. In other words, fraudsters are detected and flagged before they even make a fraud attempt. Live and automatically. The models learn as they go and stay on the edge regardless of the changes in operations performed by criminals. As the anti-fraud system works entirely in the background, it does not interfere with user experience. As a result, the risk management team of eSky and eDestinos can now protect the company’s bottom line even more effectively while the payment experience brought by the broadly admired eSky desktop and mobile platforms remains truly seamless. “We are proud that eSky has placed their trust in our expertise and technology” – said Hubert Rachwalski, CEO, Nethone. “Fighting fraud in travel is a challenging mission. Combating travel fraud in Latin America, the most fraud-prone region of the world, is even more demanding. Therefore, I believe that eSky could not have chosen better. Our team has extensive experience in creating AI-based FDP solutions for businesses operating in this diversified, rapidly evolving part of the globe and the travel industry has always been one of our core areas of interest” – he added. eSky Group is active across more than 20 markets. The company cooperates with 817 airlines and almost 1 million hotels, serving over 5.3 million leisure and business travellers. Such a vast scale of operations makes risk management a burdensome task, especially in geographies where credit card fraud has reached epidemic proportions. “As a global, rapidly expanding OTA, we choose reliable partners who, besides being top-class experts in their fields, also deeply understand our business, goals and specific, unique market requirements” – said Grzegorz Kwiecień, COO, eSky Group – “While expanding at an outstanding pace, increasing sales, keeping chargebacks at bay and, at the very same time, avoiding false positives, is crucial. We’ve been testing many different anti-fraud tools recently. Considering Nethone’s spotless track record and the results of our recent POC project, I can tell that this is the right partner for the job” – added Mr. Kwiecień. Nethone has been present in Latin America for over 13 months. The Poland-headquartered company provides fraud prevention services for multiple organizations across the LATAM region, including Almundo.com – one of the largest agencies on the continent.